The Croatian playmaker ended Cristiano Ronaldo and Lionel Messi’s decade-long dominance of the award on Monday night in Paris. Modric’s brilliant displays for Croatia on route to the 2018 World Cup final along with helping Real Madrid wrap up a third consecutive Champions League title gave him the nod. 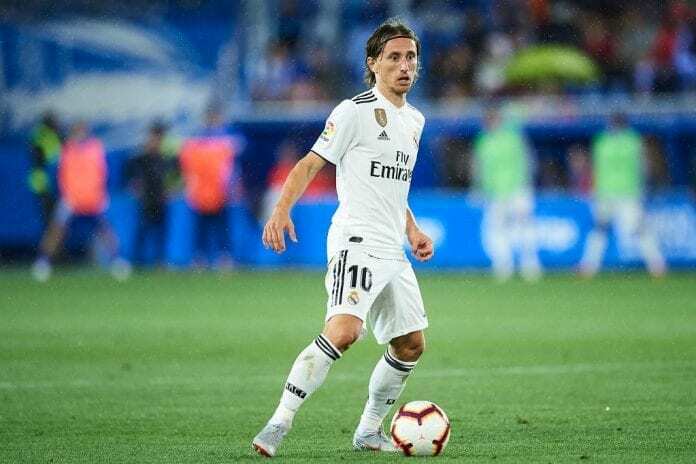 Now Modric has revealed a meeting he had with Zidane, shortly after he replaced Rafael Benitez as Real manager in 2016, was the key that unlocked his full potential. “Here is something I will never forget: When Zinedine Zidane became Real Madrid coach, he called me into his office after training,” Modric told France Football. “He told me how he was seeing me as a player and what he was expecting from me. 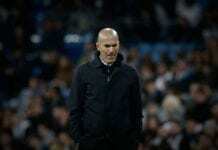 “When someone like Zidane, with his personality and his career, says that to you, it gives you a lot of confidence. “I admired him and I respected him a lot when he was a player. “He saw me as someone like him, calm and a bit shy. He wanted me to open myself more. “He made me a very important piece of the team when the team was playing very well.